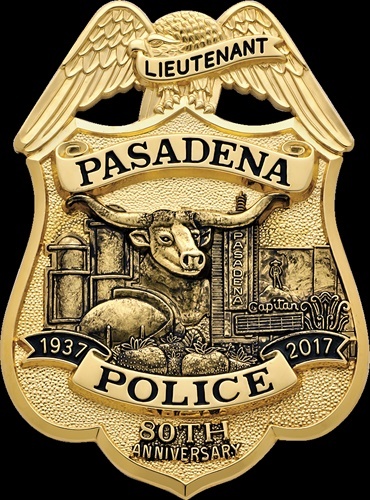 Smith & Warren, a U.S. manufacturer of uniform badges and insignia, won the North American Association of Uniform Manufacturer and Distributors (NAUMD) “Best Badge or Emblem Design” Innovation Award for its Pasadena (TX) Police Department badge. Galls, the largest public safety equipment and apparel supplier in the industry, sold the Pasadena badges and administered the new badge program. Smith & Warren has been proudly manufacturing uniform badges and insignia in the United States since 1925, and is the most technologically advanced badge manufacturer in the United States. The finest materials are combined with cutting edge manufacturing technology to produce a product that can be worn with pride. Every Smith & Warren badge comes with a full lifetime warranty. To learn more about Smith & Warren visit http://www.smithwarren.com.